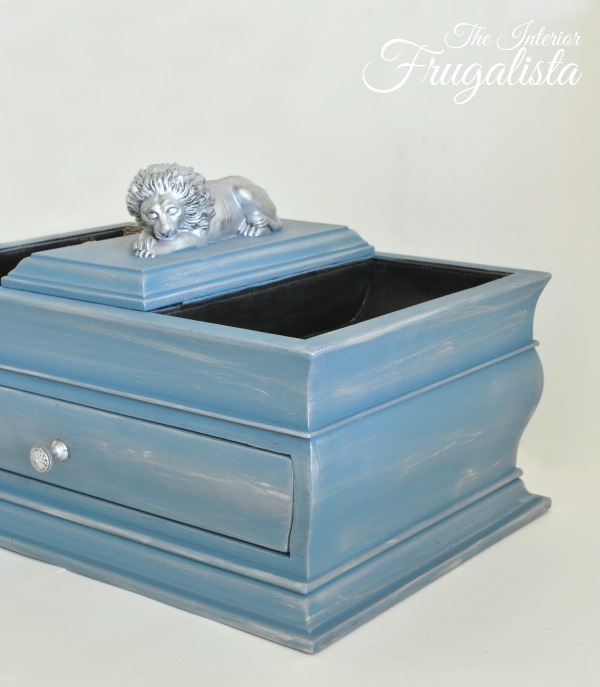 Welcome to another edition of Frugal Decor Tuesday. I hope everyone had a great Father's Day this weekend. 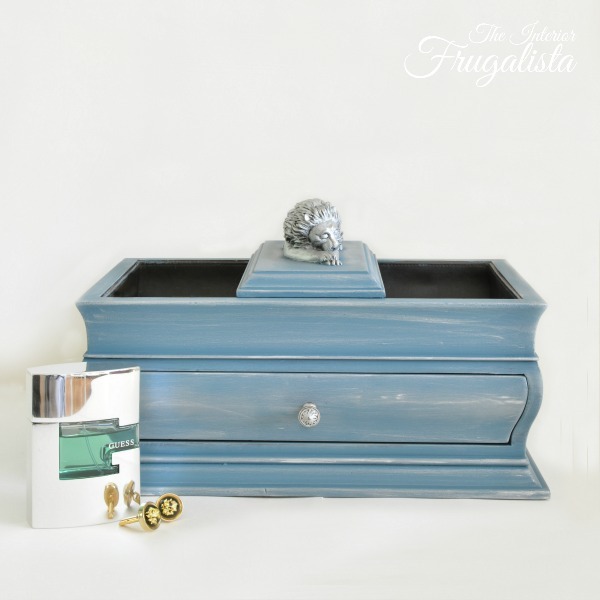 In the spirit of Father's Day, I thought I would share another jewelry box makeover except this one has a masculine edge. 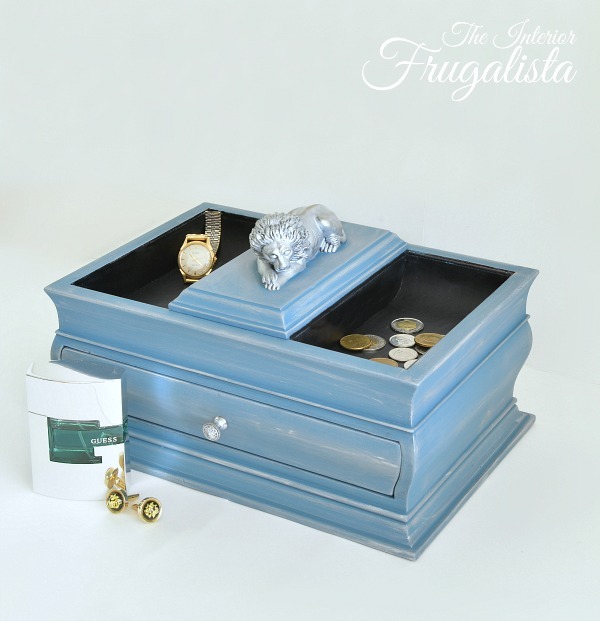 This Men's Vintage Jewelry or Accessory Chest is large and perfect for things like watches, loose change, cuff links, and other accessories. Despite it being rather masculine, I contemplated keeping it for myself. Why? 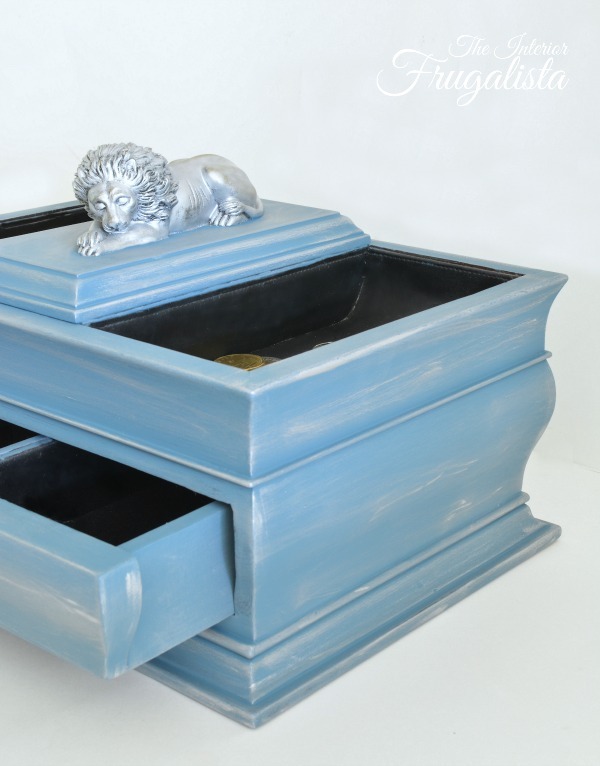 Because my Zodiac sign is a Leo and what fiery lioness could resist a jewelry box with a sleeping Lion on the top? It still had the Bombay Company tag on the bottom. After a good scrub with warm soapy water, a lot of Q-tips, and baby wipes on the interior, I removed the shiny finish with a 120 grit sanding block. The chalk paint color is called Summer Blueberries. You may remember the Oval Pedestal Coffee Table Makeover that I shared recently using this color. In that makeover, I protected the table with White Wax and loved the look. 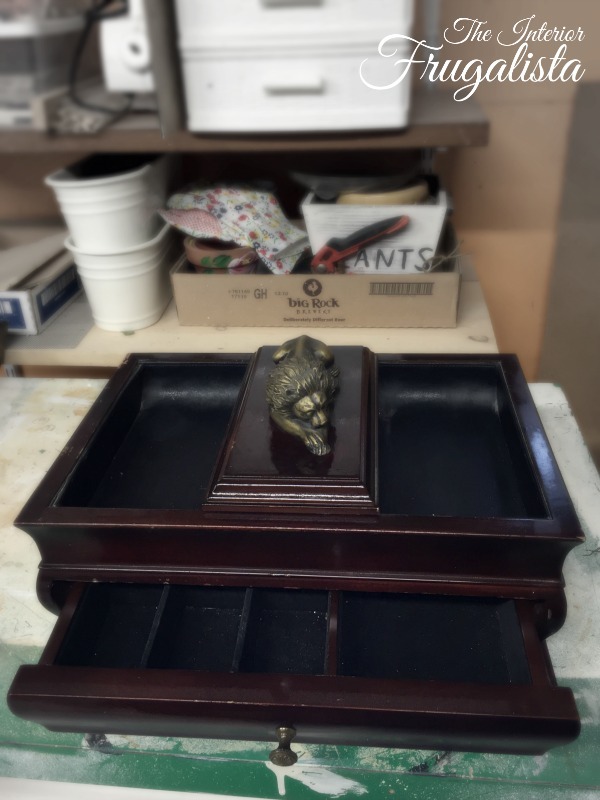 I tried something different with this trinket box and used Silver Gilding Wax, applied with a lint free rag. 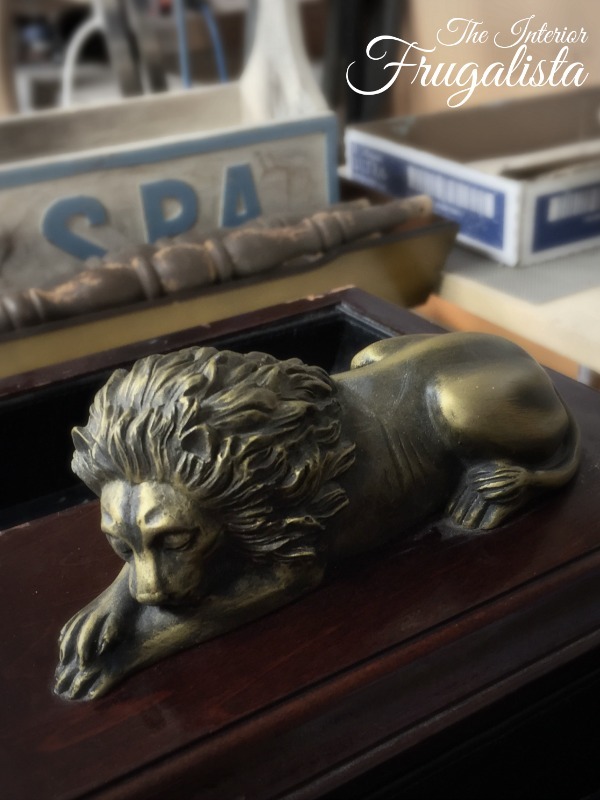 I also applied it on the brass lion and drawer pull. 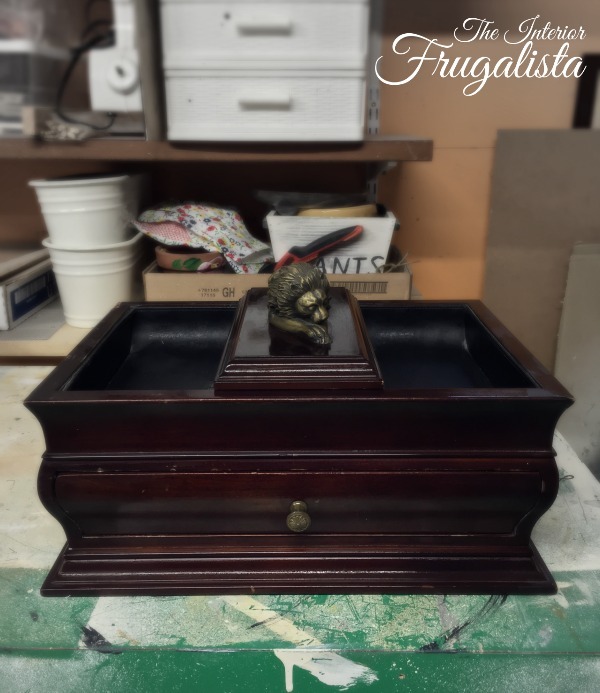 If you like the makeover I gave this Masculine Vintage Jewelry Box please share it with a friend and/or save it on Pinterest. 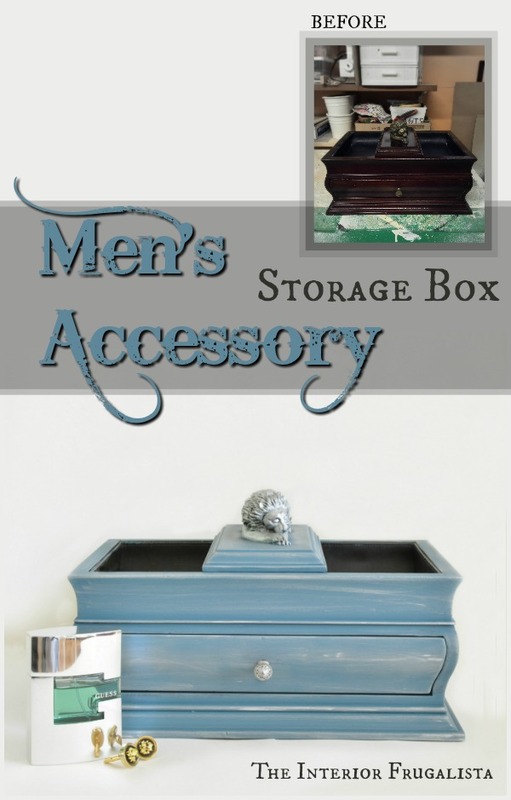 If you missed my other masculine jewelry and trinket chest makeovers you can catch them here at Vintage Men's Valet Roll Top Jewelry Box, Gray Pebble Beach Jewelry Box, and Dark Gray Harlequin Chest. Before I close this post, it is Week 9 of the Between The Lines series and I don't want you to miss a thing. 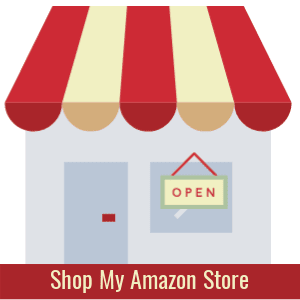 Press the links below to visit today's featured bloggers. 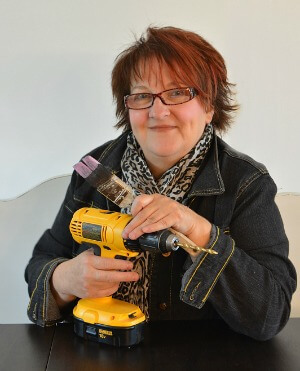 Be sure to come back on Thursday for the June edition of Themed Furniture Makeover Day. The theme this month is Coastal and I have a fun throwback makeover to share with you all. 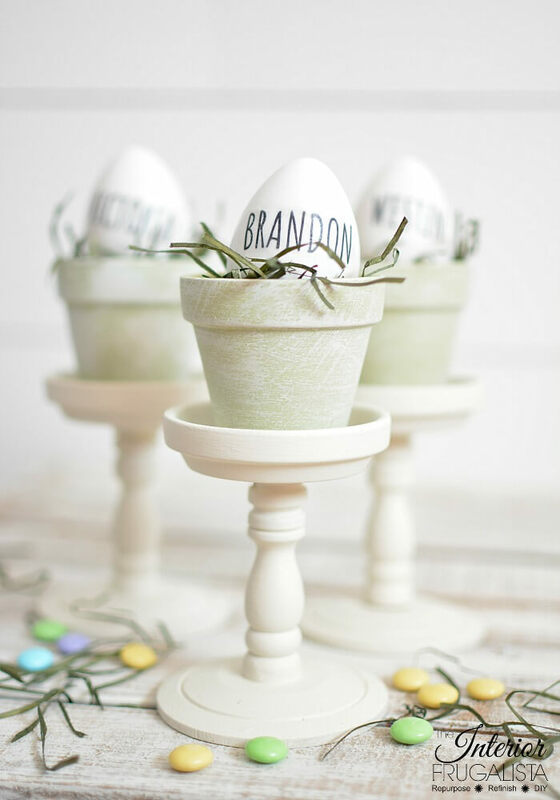 You will find this project linked to these fabulous parties.